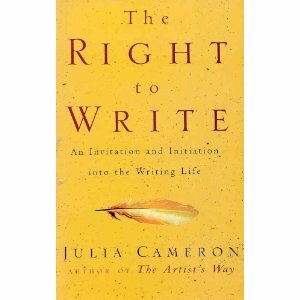 Penned as 'an invitation and initiation into the Writing Life', Ms Cameron encourages everybody to write as a creative part of life. For fun. Just because. Mama said, '... but I am stupid...' as an avoidance excuse. She is not stupid- just a fool for not getting involved in this great gateway to creativity. I *heart* this book. Oh, and I hereby promise that NOBODY WILL EVER GET TO READ MY CRAPPY ASSED POETRY. But it did feel good to try. It just felt less good to read it back to myself the day after. Great for getting your creative juices flowing, and as a reference tome. A favourite.